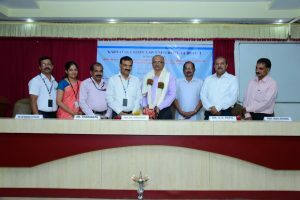 Prof Dr. Ishwara Bhat, Hon.ble Vice Chancellor Karnataka State Law University inaugurated the proceedings. Dr. C.S Patil Dean Karnataka State Law University and Sri Dayananada Kattalsar, Tulu Folklorist were the chief guests. Orientation on minor research projects awarded to our College. Hon’ble Vice Chancellor KSLU Dr. C.S Patil guided minute aspects of research. 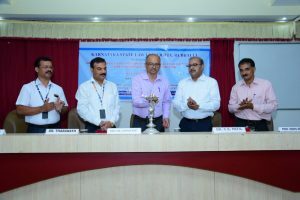 Dr. Umanath Shenoy, Retired Professor SDM College, Ujire and Sri Dayanand Katalsar were the key speakers. Sri. Bharath Bhandary, Folklorist Puttur and Sri Harish Ballal, Folklorist, Belthangady were the Guests of Honour. Dr. Tharanath, Principal SDM Law College and Prof. Udaya Krishna, Principal, KVG Law College, Sullia presided over the group discussion. Mrs. Chandralekha V and Mr. Pushparaj K. coordinated the programme. This entry was posted in News & Updates on March 21, 2019 by Karthik Anand.